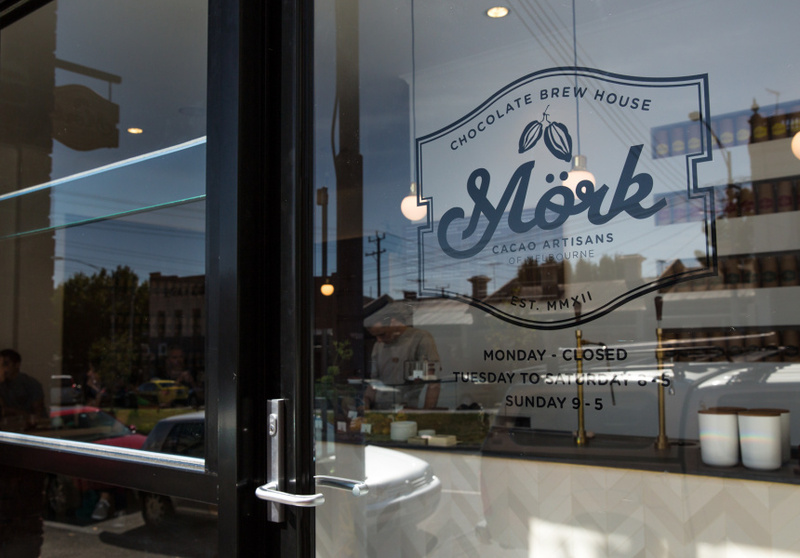 Mörk Chocolate Brew House in North Melbourne is serving a bean-to-cup chocolate experience, so leave your coffee cravings at the door. 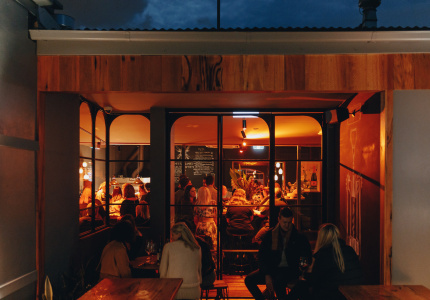 Brewing in Melbourne is synonymous with coffee or beer, but there’s a new brewer in town. 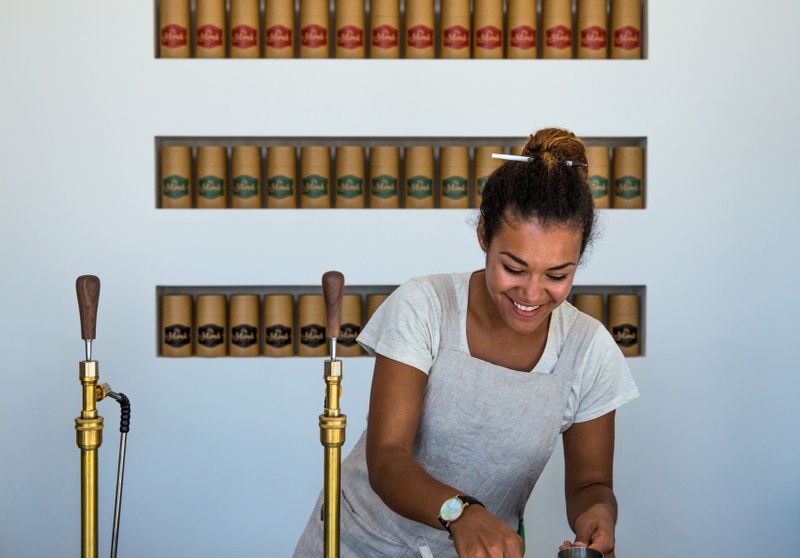 After three years of supplying Melbourne cafes, local chocolate supplier Mörk Chocolate has opened its concept store and brew house in North Melbourne. Co-founders and partners Josefin Zernell and Kiril Shaginov come from a specialty coffee background, but the brew house is all about chocolate reigning supreme – in fact, you won’t find a coffee bean in sight. “Chocolate is similar to coffee. It has classifications, varieties, single origins,” says Zernell, whose focus has now shifted to specialty hot chocolate. The warehouse attached to the coffee-free concept store will make chocolate on site. 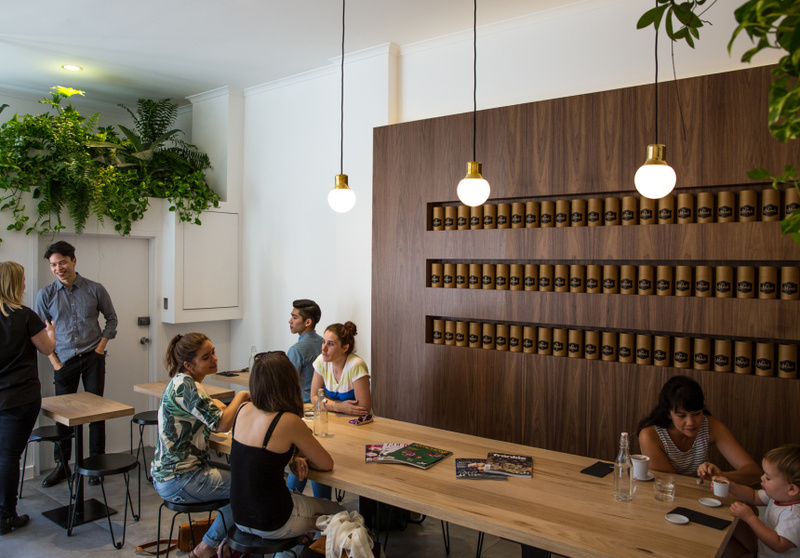 The intricate process of importing, roasting and then refining is reflected in the cafe’s attention to detail – from the modern interior featuring bleached wood, clean grey tiles and gold accents, to the custom-made beakers and imported Japanese Arita porcelain. Even the sparkling water is infused with vanilla bean, as a delicate palate cleanser. While the space is intimate with 18 seats, the communal bench is inviting and the drinks are worthy of being appreciated slowly. The Campfire Chocolate is a signature: a stemless Bordeaux glass filled with smoke, a beaker of chocolate, "smoked salt" and a house-made toasted marshmallow. Other inventive beverages include a Chocolate Soda, with single-origin Madagascan milk chocolate (complete with bubbles and a straw), and the richer Layered Chocolate, with chilled dark chocolate topped with vanilla and orange Crema Catalana. The experience is designed to remind patrons of their childhoods. “I want people to come here with curiosity and to feel intrigued,” Zernell says. Shaginov agrees that they’re trying to bring out the playfulness of chocolate. 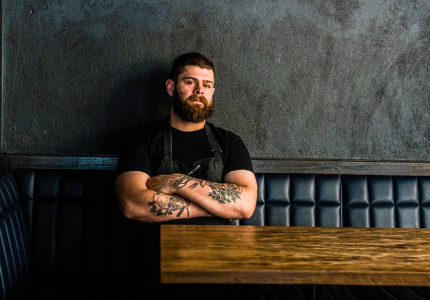 “Everything we do takes you back to when you were a kid,” he says. 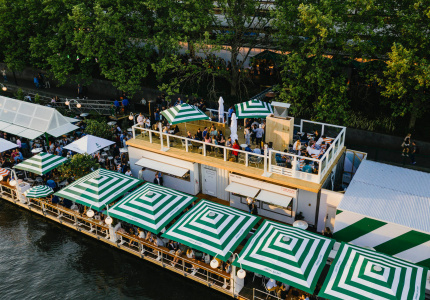 The menu offers small savoury items such as a Gruyère scroll, but all the food is designed to complement, and bring the focus back to, the chocolate.